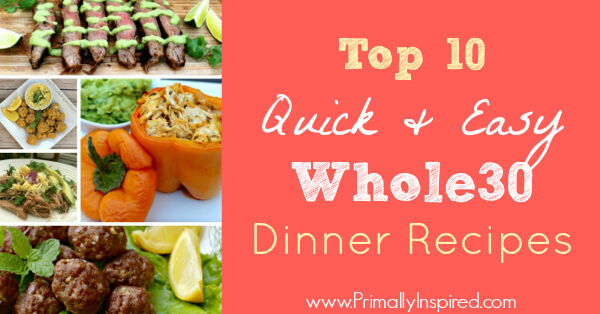 Here's my top 10 quick & easy Whole 30 dinners! If you are struggling to find healthy recipes that the whole family enjoys, be sure to try a few of these! Ever wondered what's the best healthy cookware? Find out the top healthy cookware options! These options are safe and non-toxic for cooking. 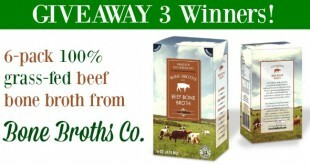 Win grass-fed bone broth from Bone Broths Co! The first and only USDA grass-fed bone broth company! Plus a Bone Broths Co Coupon Code for all! 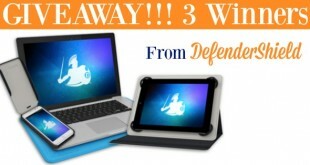 Protect yourself from harmful laptop, cell phone and tablet radiation with DefenderShield products! 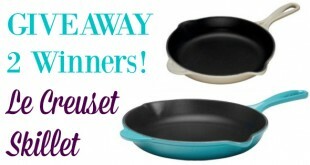 Giveaway plus a DefenderShield Coupon Code, too! 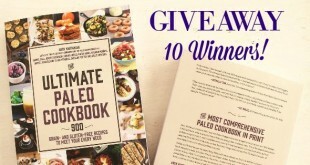 Win 1 of 10 Ultimate Paleo Cookbook copies co-authored by me! There's 900 Grain-Free, Gluten-Free and Paleo Recipes in one book! 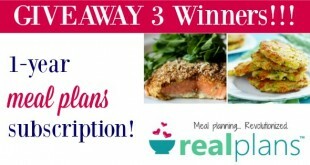 Meal planning made healthy, easy and totally customizable from Real Plans! Win a 1-year subscription! 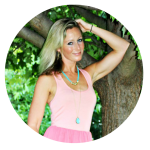 Paleo, Gluten Free, Vegan and Real Food options! 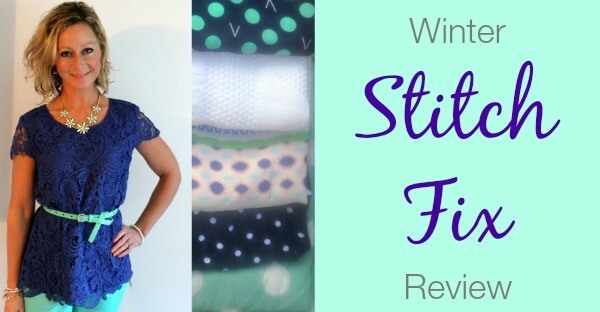 My Winter Stitch Fix Review! This Fix has polka dots galore and I need your help deciding what I should keep and what I should send back! 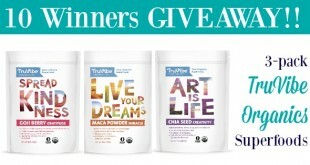 Enter to win a trio of organic super foods from TruVibe Organics! 10 winners! Win maca powder, chia seeds and goji berries. 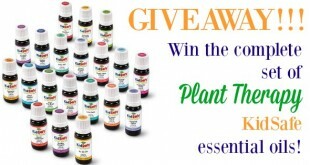 Enter to win the Plant Therapy Essential Oils Complete KidSafe Set Giveaway! High quality, 100% pure, undiluted, therapeutic grade essential oils. 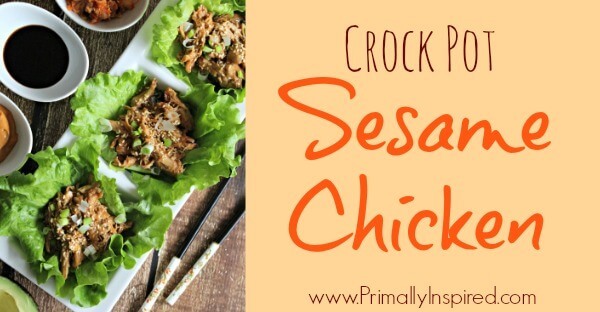 Crock Pot Sesame Chicken Lettuce Cups make a deliciously healthy dinner or appetizers! Gluten Free, Paleo Friendly and made right in your slow cooker! 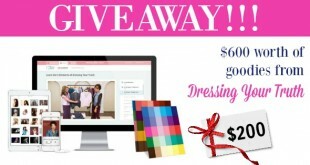 Enter here for the Dressing Your Truth Giveaway valued at over $600! Plus a FREE gift for my readers! 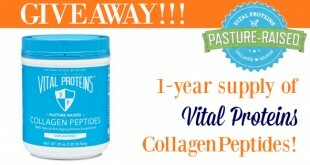 Vital Proteins is giving away a 1-year supply of collagen peptides! Plus use Vital Proteins Coupon Code PRIMALLYINSPIRED10 for 10% off and Free shipping! Day 2 Giveaway is from ButcherBox! 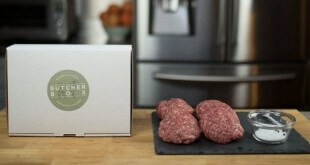 100% grassfed beef and pasture raised meats delivered right to your doorstep! Enter here! 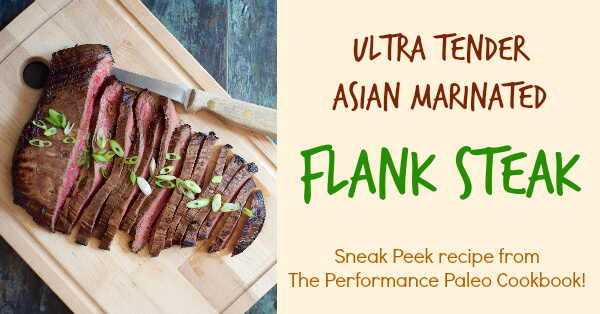 Here's the protein packed, tender Asian Marinated Flank Steak Recipe from The Peformance Paleo Cookbook! It's easy to prepare and melt in your mouth tender! 12 Days of awesome giveaways & a big announcement: Health Mate Infrared Sauna Group Buy with Wholesale Pricing!!! 40% off retail pricing! 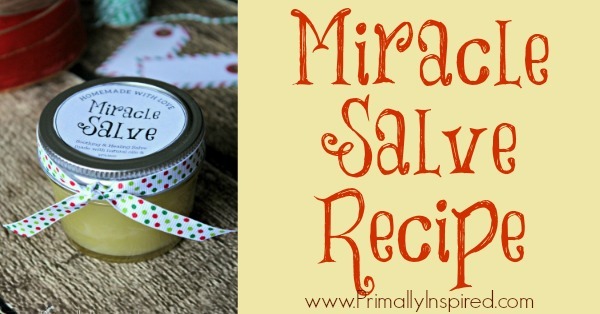 Banish dry, chapped, scaly skin with this miracle salve recipe! It's perfect for hands, feet, face & body. Easy recipe with natural, nourishing ingredients. 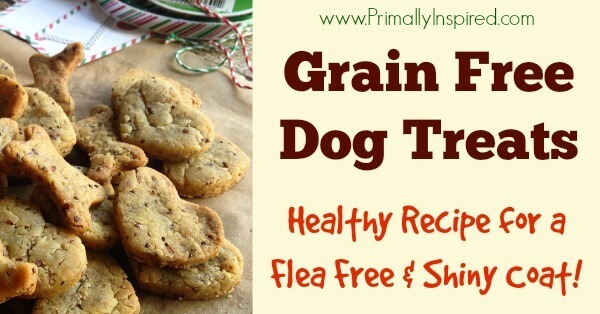 Make your dog these homemade grain free dog treats! A healthy recipe with nourishing ingredients to keep your best friend flea free & having a shiny coat! 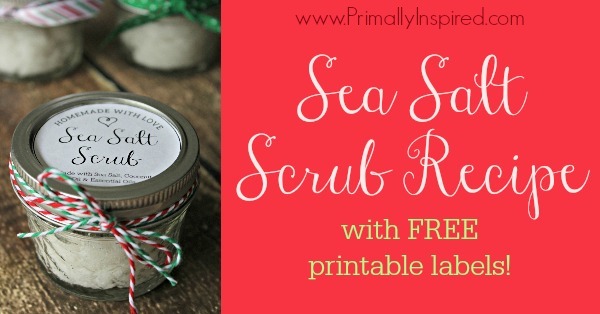 Make your own luxurious and nourishing homemade sea salt scrub with this easy recipe made with only 3 ingredients! Also included are printable labels! 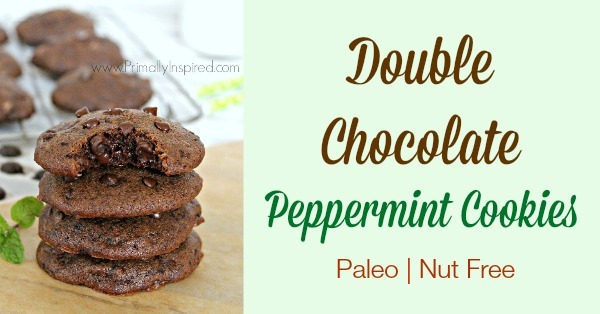 If you are a chocolate lover, you'll totally fall in love with these double chocolate peppermint cookies. Paleo, Grain Free & Nut Free Ingredients. 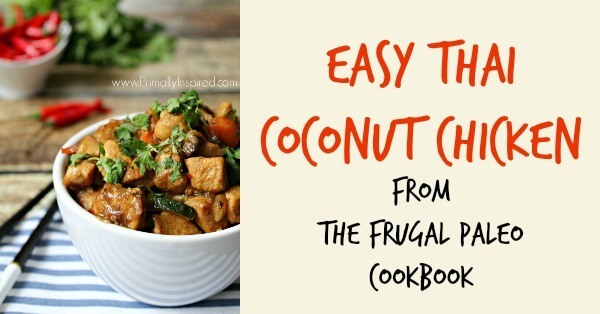 This easy Thai Chicken recipe from The Frugal Paleo Cookbook transforms ordinary chicken and vegetables into an exotic masterpiece. 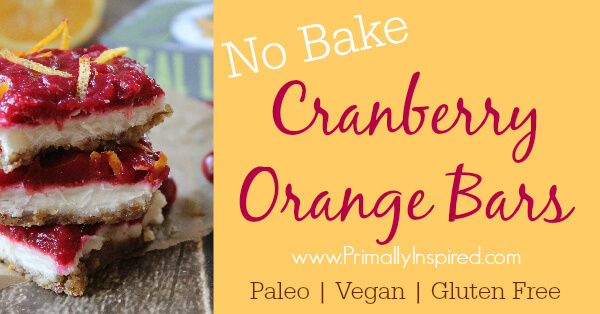 These no bake Cranberry Orange Bars are incredibly easy to make and are paleo, vegan and gluten free. You'll want these yummy bars at your holiday table! 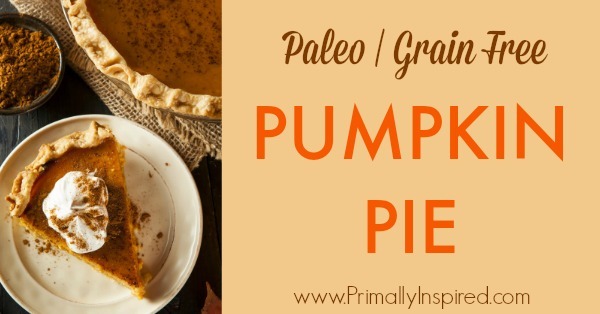 No one will ever guess this Paleo Pumpkin Pie is actually a healthier version of traditional pumpkin pie. Gluten Free, Grain Free, Dairy Free and Paleo. 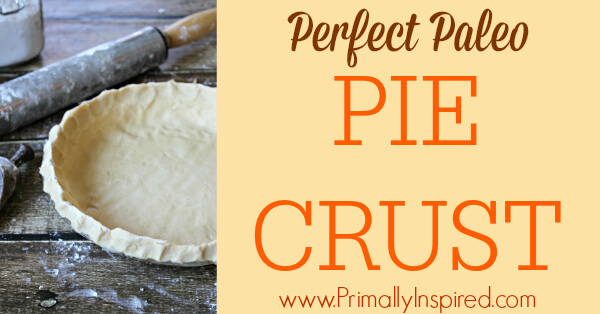 If you are searching for the perfect paleo pie crust recipe, I got you covered! This grain free pie crust got two thumbs up from our picky taste testers! 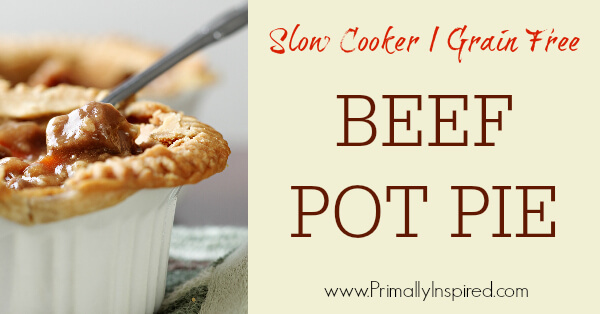 Here's a hearty, comforting Beef Pot Pie made in the Slow Cooker with a grain free crust! This will quickly become a favorite crock pot meal. 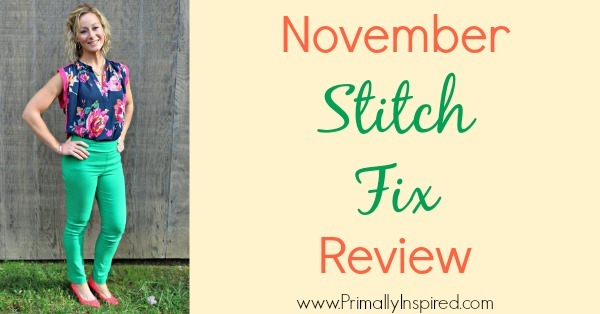 Here is my November Stitch Fix Review! Help me decide what I should keep and what I should send back! 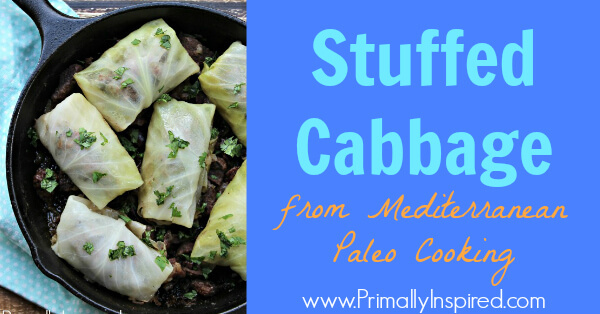 Stuffed Cabbage Recipe from the brand new cookbook, Mediterranean Paleo Cooking! This meal is hearty, healthy and a crowd pleaser. Learn how to make kimchi filled with probiotics for good immune health and digestion. 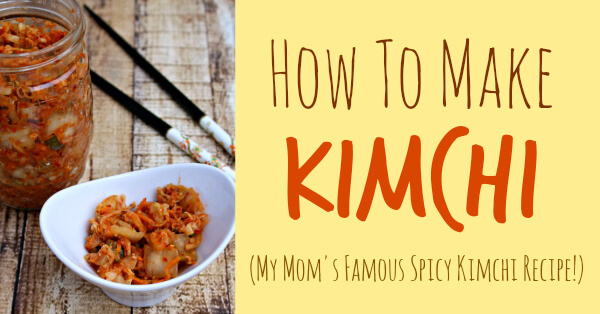 This is my mom's famous Korean spicy kimchi recipe! 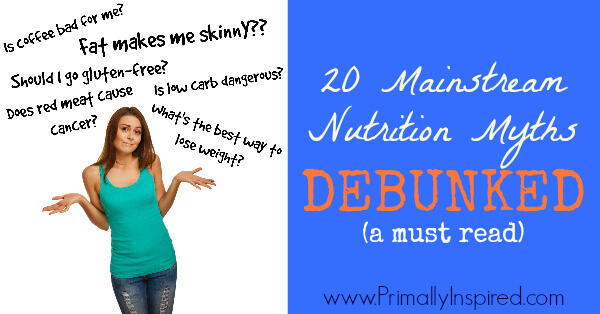 Here are 20 mainstream nutrition myths that have been debunked by science. A must read! 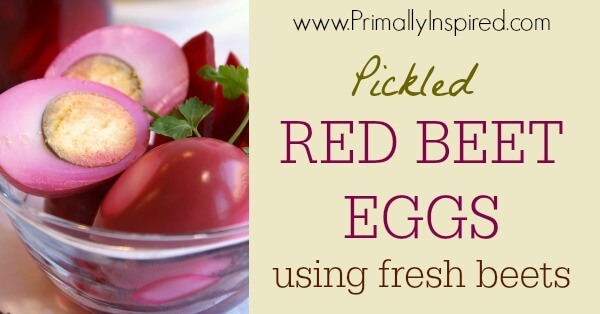 Here's my Pennsylvania Dutch Red Beet Eggs Recipe using fresh beets and no refined sugar! If you've never had a pickled red beet egg, you're in for a treat! 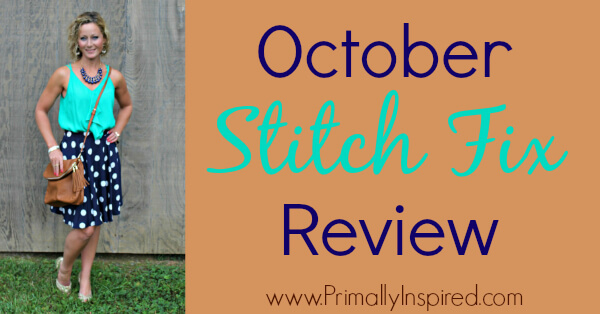 Check out my October Stitch Fix Review! See what I kept, what I sent back and give me your opinions on my latest Fix! Want to make the easiest and best grain free pizza dough that's even easy enough to make on a weeknight? 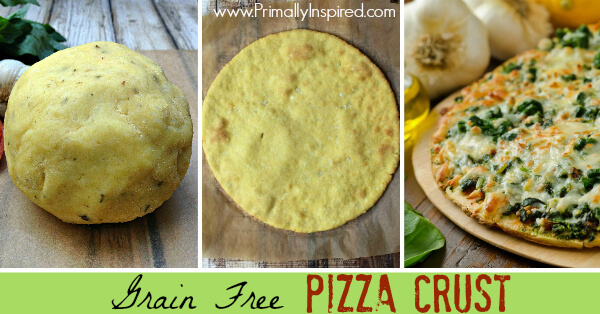 Try this grain free Pizza Crust! Paleo friendly. 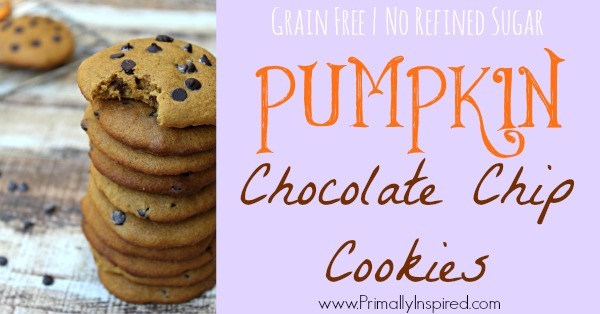 You've got to try these warm pumpkin chocolate chip cookies right out of the oven! Grain free and paleo friendly ingredients. 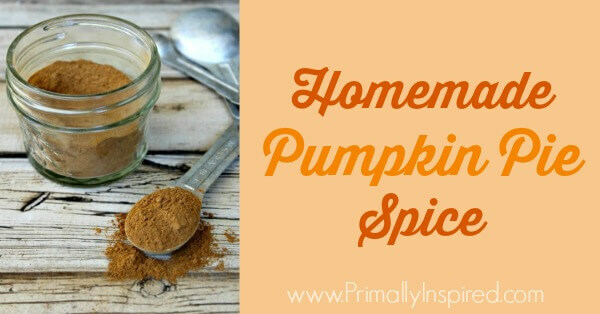 Make your own homemade pumpkin pie spice with this easy recipe. Use it for pumpkin pie, pumpkin cookies, pumpkin rolls and more! 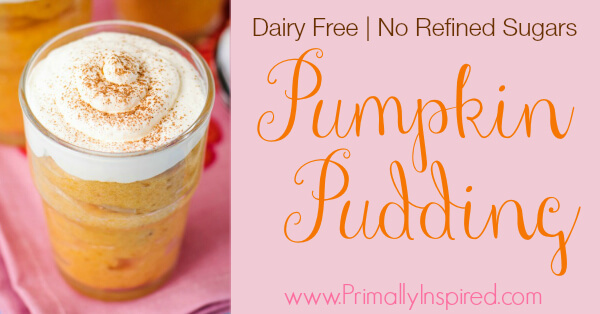 If you are looking for a dessert to impress, try this easy and healthy pumpkin pudding. It's dairy free and contains no refined sugars. 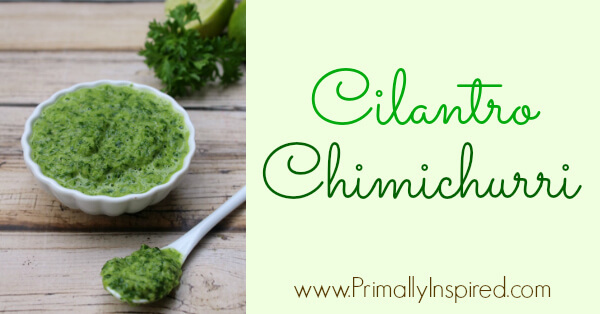 Transform your food with this cilantro chimichurri recipe! Put it on all types of meat, fish, eggs, salad and veggies to give a punch of flavor explosion!